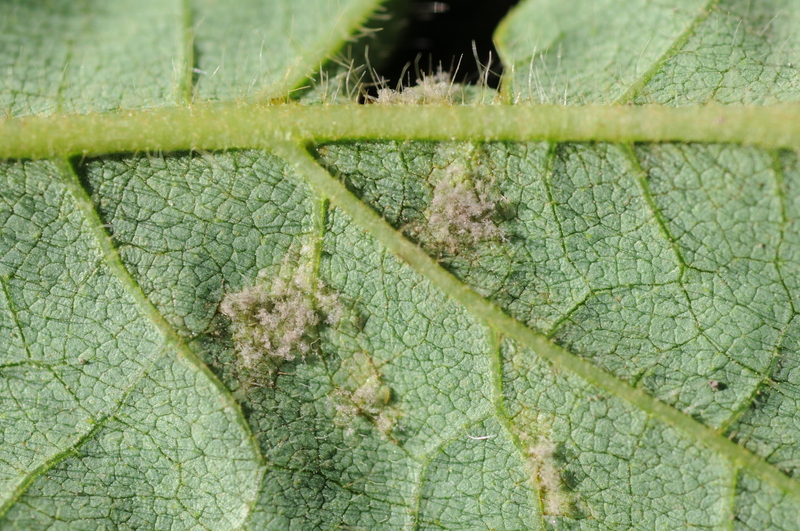 Downy mildew is caused by the oomycete Peronospora manshurica. It is common but seldom causes serious yield loss. 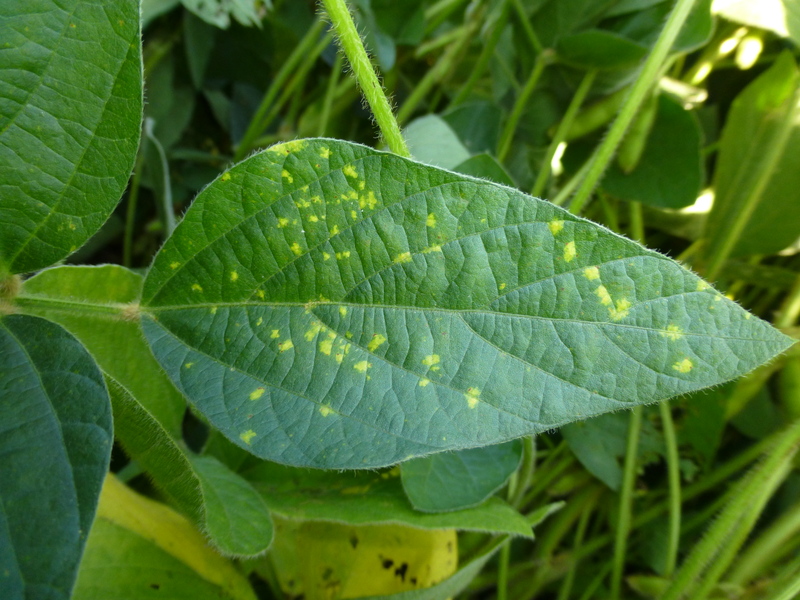 Lesions occur on upper leaf surfaces as irregularly shaped, pale green to light yellow spots that enlarge into pale to bright yellow spots. Older lesions turn brown with yellow-green margins. Young leaves are more susceptible, so disease is often found in the upper canopy. On the leaf underside, fuzzy, gray tufts may be seen growing from lesions, particularly when humidity is high or leaves are wet (e.g., early in the morning). Downy mildew-infected pods show no external symptoms, but the inside of the pod and seed may be covered with a dried, whitish fungal mass that appears crusty and contains spores. 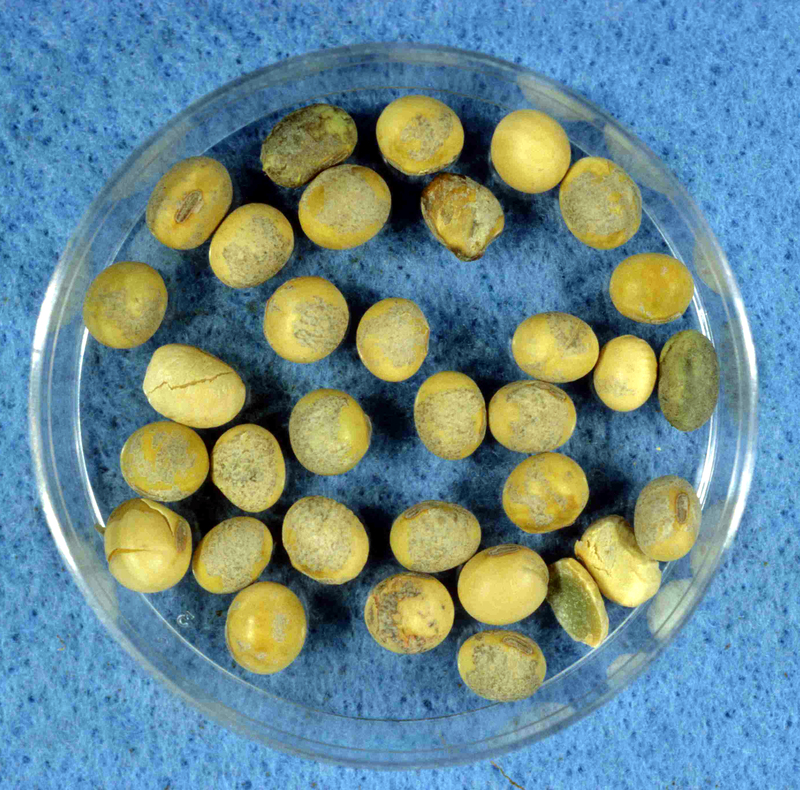 Infected seed can be smaller, appear dull white and have cracks in the seed coat. 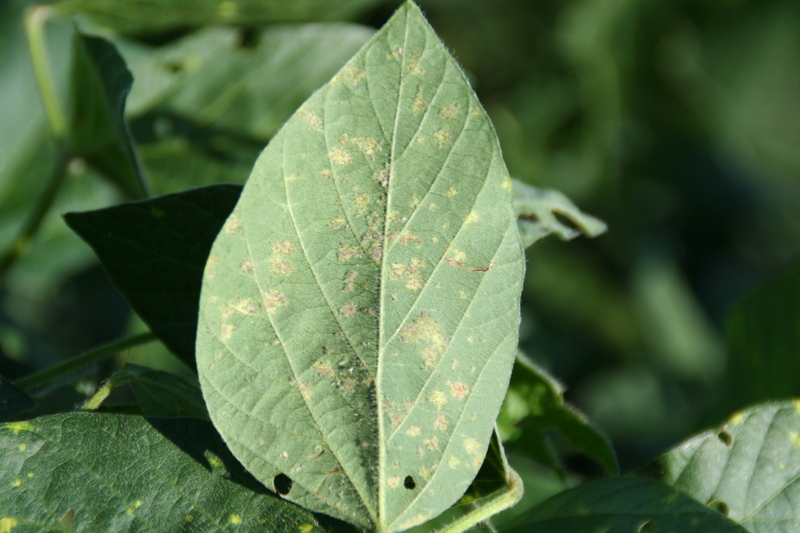 High humidity or extended leaf wetness and moderate temperatures favor disease development. 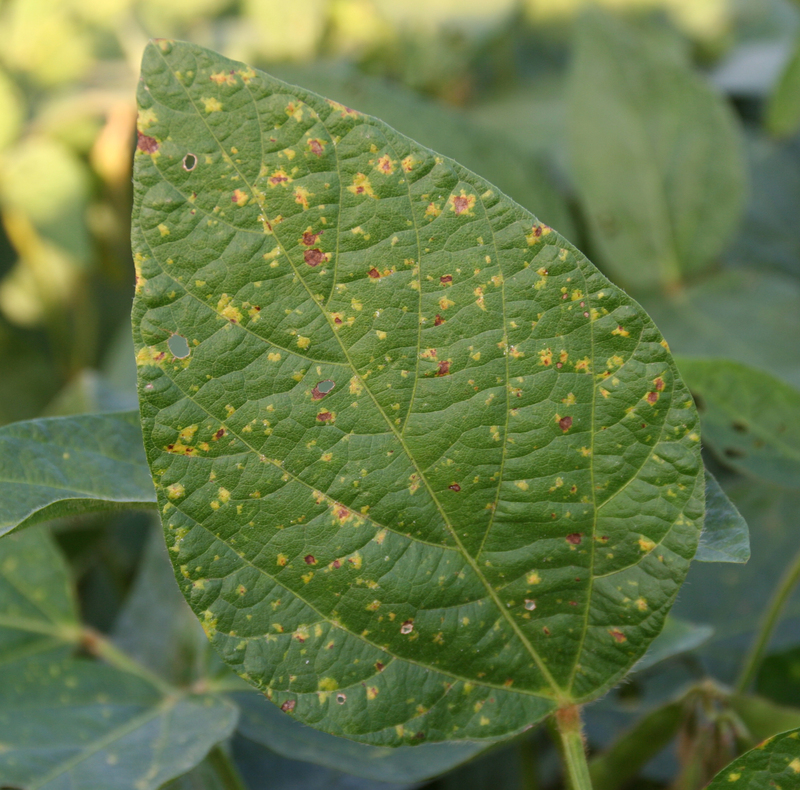 The increased resistance of older leaves and higher temperatures midseason usually stop disease development before extensive damage occurs. 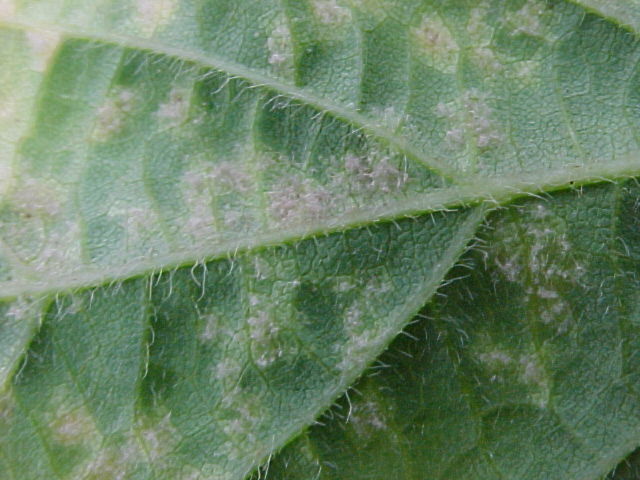 Fuzzy growth characteristic of downy mildew on leaf underside. 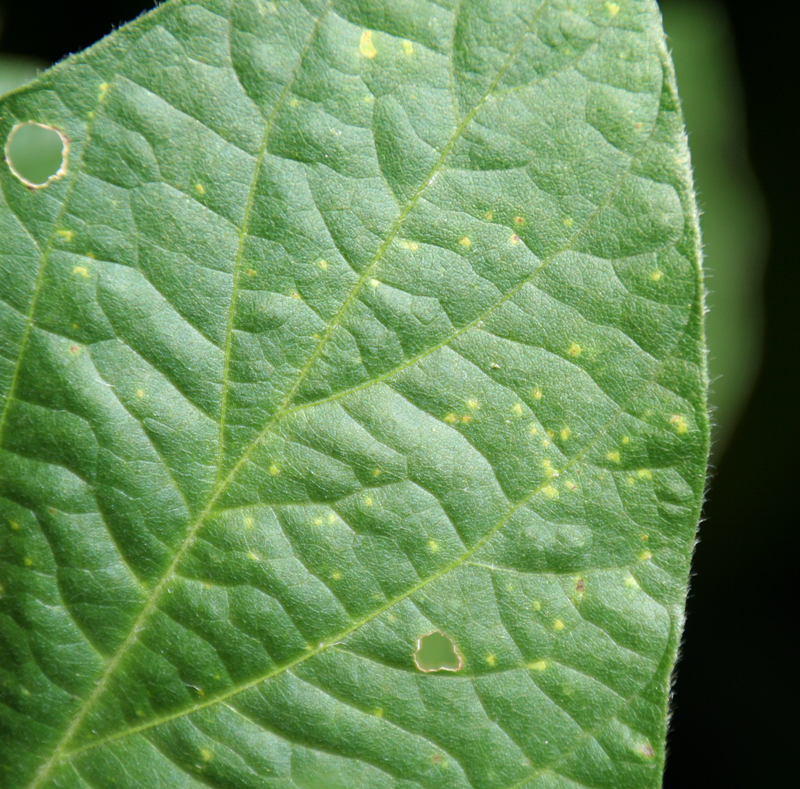 Younger leaves are more susceptible to downy mildew. 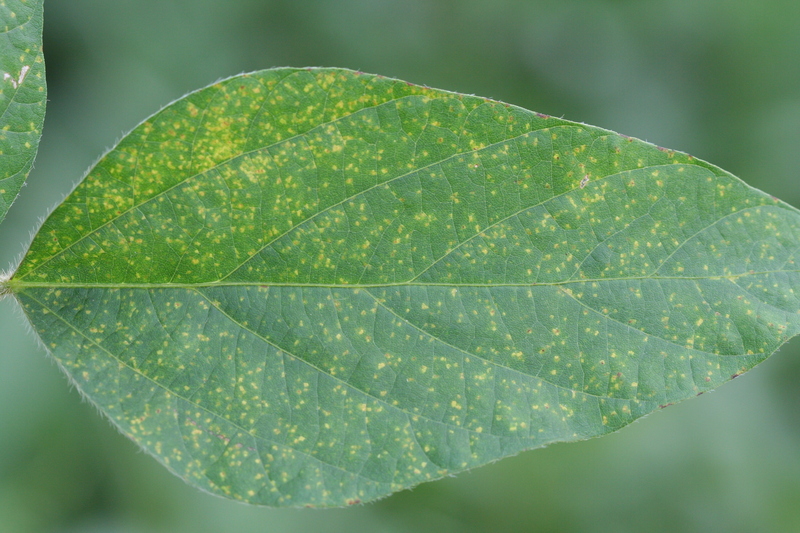 Characteristic pale green to light yellow spots indicative of downy mildew. Seed showing symptoms of downy mildew. Older downy mildew lesions beginning to turn brown. 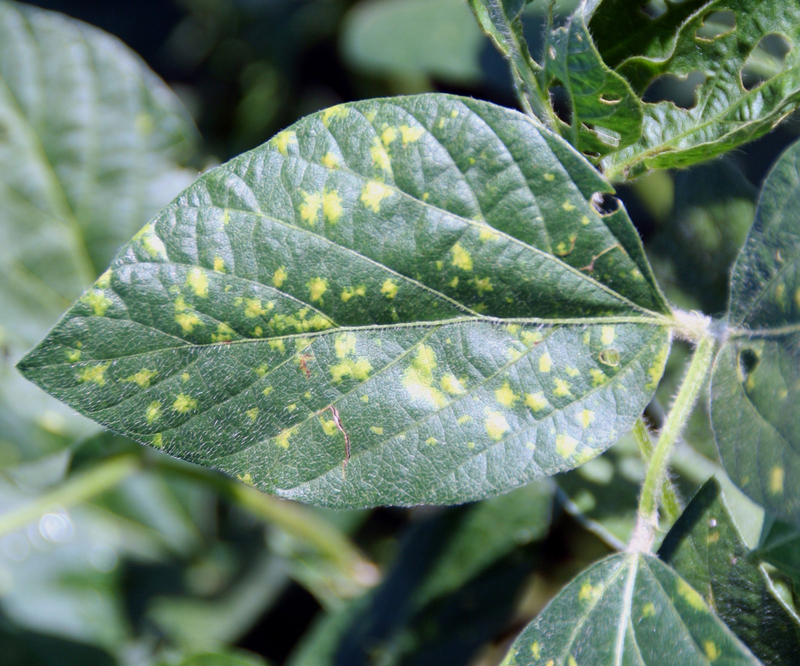 Characteristic early pale green to light yellow spots indicative of downy mildew. 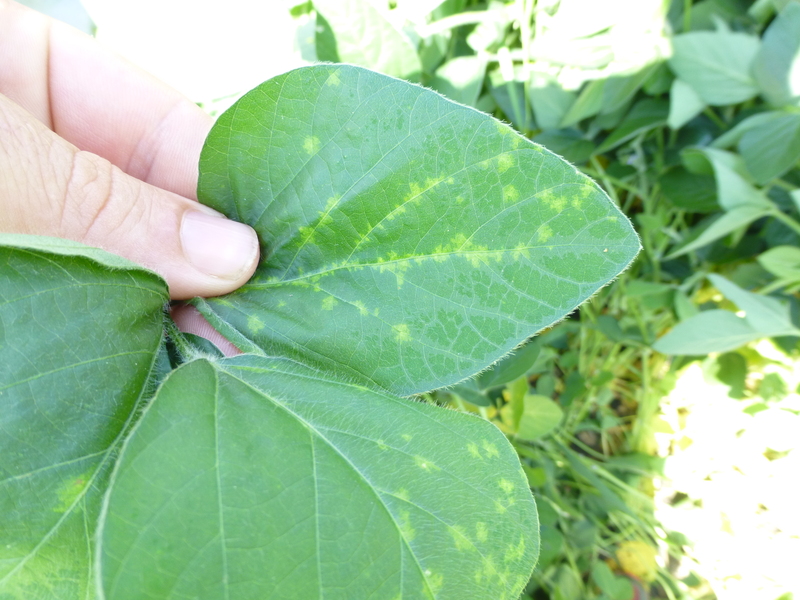 Downy mildew lesions enlarge into pale to bright yellow spots over time.